Photo courtesy Tulsa Performing Arts Center. The Phantom and Christine will arrive in Tulsa with the 50 other cast and orchestra members who will bring to life the musical genius of composer Andrew Lloyd Webber and the storyline of Gaston Leroux’s 1910 horror novel. As the curtains pull back, audience members travel to the dimly-lit stage of the Paris Opera House, in 1911, where an auctioneer sells off pieces of the past. When Lot 666 takes the spotlight, the musical’s famed chandelier: a haunting light fixture whose history illuminates the mysteries of The Phantom of the Opera, the story takes flight. This world-renowned musical, after selling out its tour of the United Kingdom, kicked off a North American tour in November 2013, bringing new stage and costume designs, new choreography and stunning new special effects to an already powerful performance. 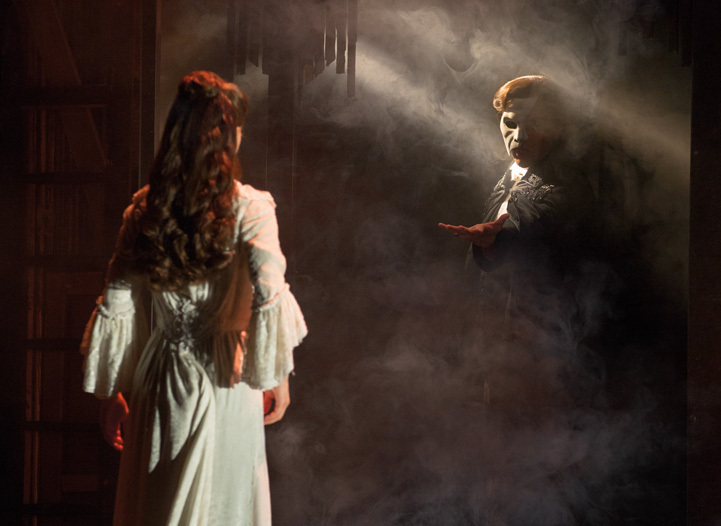 The Phantom of the Opera’s spectacular and suspenseful score will fill Tulsa Performing Arts Center’s Chapman Music Hall, for two unforgettable weeks, April 15-25. See the man who wears the mask and haunts the theater, played by Chris Mann, and the woman whose heart falls weak to his ways, played by Katie Travis. Experience a one-of-a-kind performance that uses the talents of Paul Brown, scenic design; Maria Bjornson, costume design; Paule Constable, lighting design; and Scott Ambler, choreography to captivate audiences and assist a stellar cast in the unraveling of The Phantom of the Opera. Secure the opportunity to see this phenomenal production, presented by Celebrity Attractions, at the Tulsa Performing Arts Center, 110 E. Second St., Tulsa. Tickets start at $50. 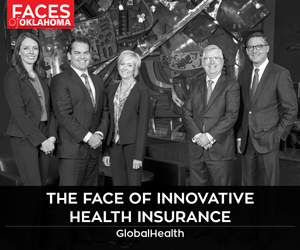 For more information, visit www.tulsapac.com.